SBS "Faith" exported to 6 South East Asian countries. SBS drama "Faith" with Lee Min-ho as the leading actor, is about to export to 6 different countries. According to an SBS spokesperson, "Faith" just completed signing off publication rights with Japan. It is also in process of contract signing with the Philippines, Singapore, Malaysia and others. There is talk about exporting to other countries besides the current 6. The price and amount can't be revealed but apparently in Japan it's been signed off for a better deal than other dramas. All this attention is thanks to Lee Min-ho. The countries that are signing publication rights to "Faith" have all seen success with Lee Min-ho's "Boys over Flowers", "Personal Taste", "City Hunter" and others. Also, the fact that Lee Min-ho is attempting at a historical for the first time and that it's a collaboration between producer Kim Jong-hak and writer Song Ji-na also added to this. The drama production says, "There are a couple Hallyu stars that weaken foreign buyers. 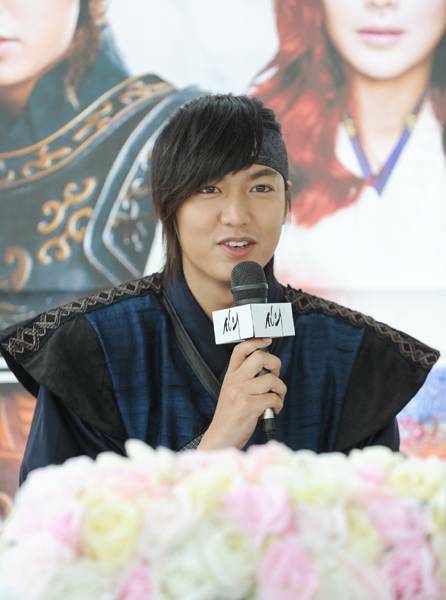 Lee Min-ho's popularity gets the attention of those foreign buyers". "The power of Lee Min-ho!" Song Joong-ki "Forget about the milk ad"